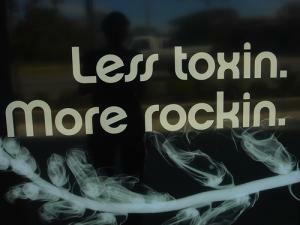 What are toxins and how to eliminate them? Toxins are harmful substances in our body, which tend to build up due to various reasons. Some of them are a result of certain bodily process, some of them are taken in through the food that we consume, but whichever the reason, the fact is that they affect the overall health in a negative way. If a person feels tired and sluggish, if there is an evident lack of energy, then these might be the signs that the body is overloaded with toxins and that something needs to be done about it. Detoxification and programs of cleansing the body should be taken seriously because that is the only way which will help the person to fell better due to the increased level of energy, better mental functioning, improved digestion, metabolism, immune system, circulation, and mood among other things. How can toxins be eliminated? Since toxins tend to build up in the intestines, liver and kidneys the most, it might be a good idea to start from some of these organs. There are numerous and various products that can be bought in every pharmacy, but there is also a number of available home remedies for colon cleanse, as well as a number of recipes for liver flush and kidney flush. It might be a good idea to consider their use as well, because they are natural and they should be free of side effects. A very good and long-term solution for getting rid or the toxins is to remove them from the diet, which means that organic food, as well as food rich in fiber and vitamin C, should substitute processed foods, which are usually high in chemicals and pesticides. Replacing alcohol, soda and sugary juices with water is also a good way to get rid of the toxins from the body, because water is one of the best detoxifiers. Physical activity and exercising can speed up the metabolism, which further helps in the process of detoxification. Yoga, swimming and pilates are only some of activities that are beneficial for this, but basketball and football, as well as any other sport that helps people sweat, have the same effect because the toxins are expelled through sweat. These activities have another beneficial effect – they relieve the stress, which is also known to worsen the toxins. Healthy way of living will make people less exposed to toxins, because avoiding alcohol and cigarettes and cigarette smoke does much more for the health than the greatest majority of people is aware of.